Has he called? No. I half expected to see him at Truth or Dairy today. He's sort of addicted to Coconut Fantasy Dreams. We both are. It was like . . . our drink. I was all ready to give him the cold shoulder, easy to do when working around ice cream all day. I could give him a bad ice-cream headache, mix extra ice in his smoothie and freeze his brain. 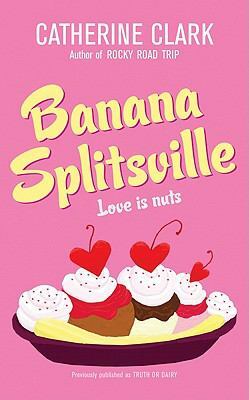 Like he could be any colder.Clark, Catherine is the author of 'Banana Splitsville', published 2008 under ISBN 9780061367151 and ISBN 006136715X.